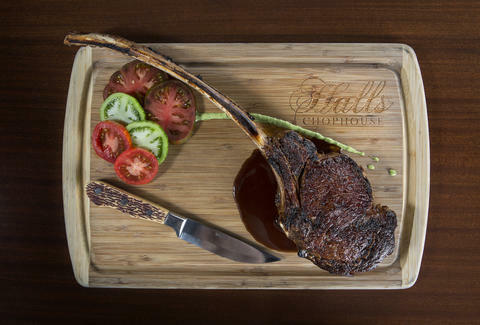 Owned by the Hall family, Halls Chophouse is known for impeccable service and hospitality, making it the epitome of a Southern steakhouse. The staff truly goes the extra mile to make you feel as if you're part of the family. Example: if you leave without shaking owner Billy Hall's hand, he'll gladly catch up and thank you for coming in. Each steak at Halls is shipped in from Chicago's own Allen Brothers and then seasoned perfectly by chef Matthew Niessner. Whether you stop by for the petite filet, or feel like living big and dropping $86 on the Tomahawk rib eye, you'll never leave unhappy. Located inside an old bank, Oak has a contemporary-classic atmosphere featuring specially designed chandeliers and local artwork. The owners decided to make good use of the old vault, turning it into a gorgeous wine cellar that offers anything from world reds to over 25 kinds of pinot noir. This steakhouse prides itself on sourcing ingredients from local purveyors, and has a great selection of seafood to boot. In addition to those mouthwatering steaks, the lobster and oysters are some true Charleston favorites. Burwell’s Stonefire Grill has modernized the definition of a steakhouse by offering dishes that appeal to a more creative palate, such as deviled eggs that look more like artwork than they do food (though they still taste amazing). The space itself is very contemporary, and the rooftop bar is one of the best in the city, offering unique, artfully crafted cocktails and a thorough wine selection. 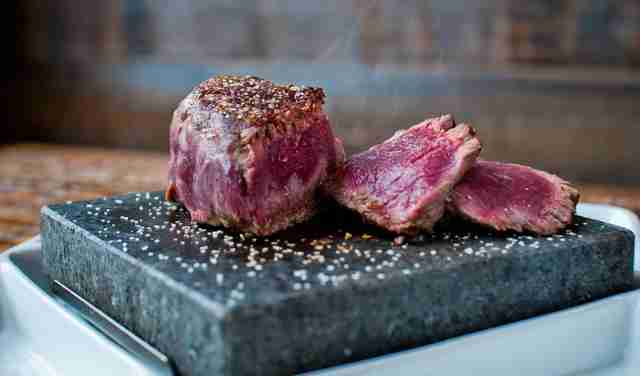 For perhaps the best steak experience around, be sure to try the “Rock Candy” and cook your own meat on a 700-degree hot stone. If you're looking to get a steak cooked just how you like it, here's your shot. Cure (an abbreviation for “Comfortable Upscale Relaxed Environment”) is one of James Island’s newest restaurants, and despite being located in a strip mall, it has all the flair and flavor of a Downtown fine dining establishment. All of the steaks are top notch, but the star of the menu is the rib eye, which is easily one of the juiciest pieces of meat you’ll encounter in Chucktown. Not necessarily feeling in the meat mood? That’s OK. Executive chef Peter Crockett has created a menu for everyone that features a number of items you don’t usually see in Charleston restaurants: blue crab claws, porchetta, and a prime rib gyro. Peninsula Grill is located inside the Planters Inn on Market Street, and offers a comfortable, inviting dining experience, whether you’re inside, or out on the open-air courtyard. Made famous for that life-changing 12-layer coconut cake that practically melts in your mouth (because of the pound of butter and three cups of sugar inside -- just ask Martha Stewart), this restaurant's savory options are just as decadent and flavorful. We’re talking filet mignon served with foie gras truffle butter, or lobster three-way (sauteed, tempura, and ravioli). Take your pick! 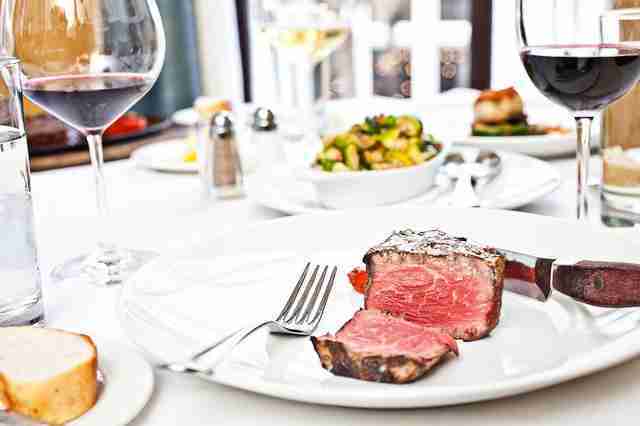 There’s no exaggeration in Grill 225’s vow to serve guests the absolute best prime beef around. This local Market Street stop has a wonderful selection of meat (wet-aged for 42-50 days) for any carnivore, and a hefty amount of sides to go with it. Pair your New York strip with some seafood, or maybe even some garlic & cheese -- there’s no going wrong here. Just be sure to order one of the nitrogen-infused cocktails, which taste just as pretty as they look. Part of Holy City Hospitality Group, Michael’s on the Alley is almost like two places in one. 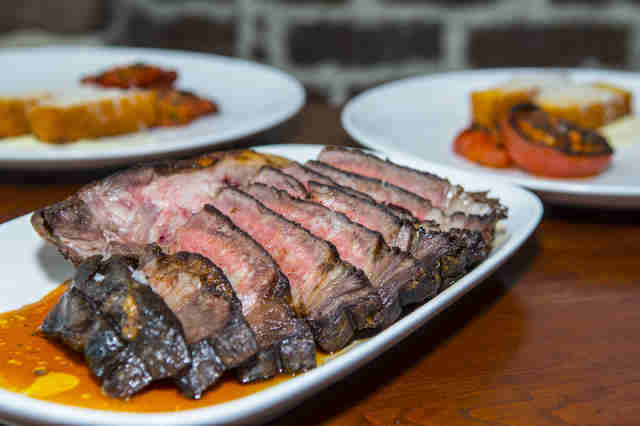 It’s connected to Vincent Chicco’s by way of the Victor Social Club, so you can order off of VC’s menu if you’re craving steak with a side of cacio e pepe. In addition to classic steakhouse fare, the menu features unique creations like foie gras torchon and lamb porterhouse. Feeling extra extravagant? Stop by on Tuesday for “Tomahawk Tuesdays” and get a 30oz bone-in rib eye, your choice of two sides, and a bottle of select wine for $100. 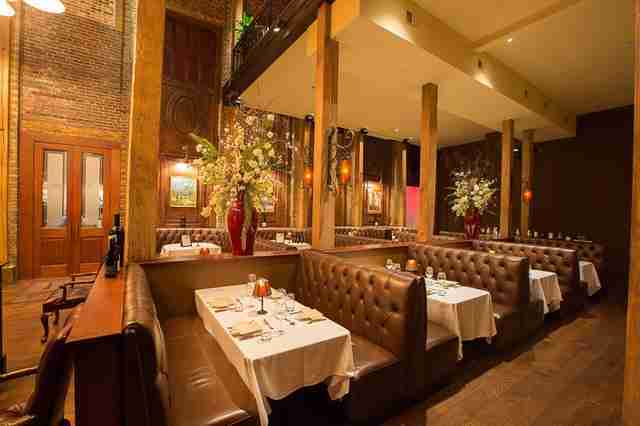 The big leather booths and low lighting make for the perfect setting for a post-dinner nap. Kidding, don't do that. When the kitchen is helmed by James Beard nominee chef Craig Deihl, you know you’re in for a great meal. 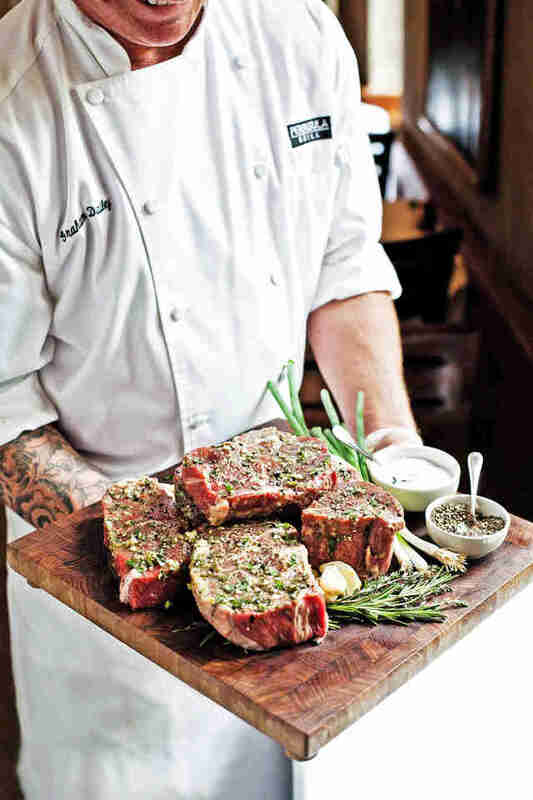 Honestly, who better to fill your steak craving than the guy who started Artisan Meat Share? Cypress has a few great cut choices on the menu, but the star of the show is definitely the Steak Diane: a New York strip served with wild mushrooms, Amish Swiss potato fondue, and a truffle peppercorn cream sauce. We don’t know who Diane is, but boy is her steak delicious! 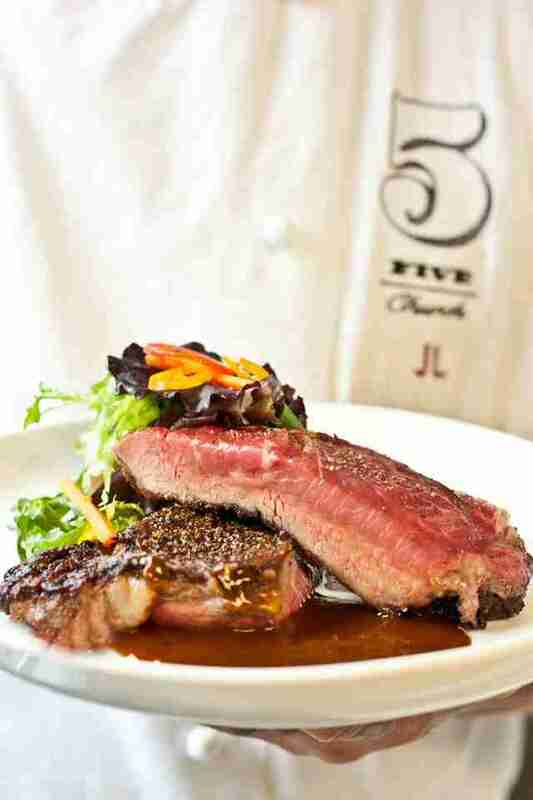 Although not a steakhouse per se, 5Church gets an honorable mention for its 60-second steak. Chef Jamie Lynch paints his meats with rendered beef fat before searing them on the grill, a process the kitchen refers to as the “Bob Ross,” in honor of everyone’s favorite painter of happy little trees. The 60-second steak gets its name from the cooking process: the cut is seared on one side until it reaches a medium-rare temperature, which takes about 60 seconds. The extra-juicy, crispy crust on the opposite side is a favorite among carnivores who like their steaks as far from well done as possible. Sign up here for our daily Charleston email and be the first to get all the food/drink/fun in town. Sydney Gallimore is a food writer from Charleston, SC, who always orders her steaks medium. Follow her on Twitter @Sydney_Inc for more tasty morsels.